Indian athletics, in 2018, witnessed some never-before-seen success and oft-repeated doping stories. 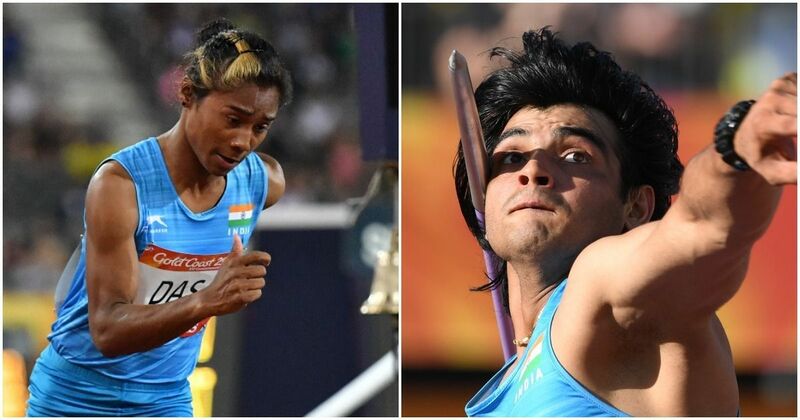 The success of several athletes, especially javelin thrower Neeraj Chopra and sprinting sensation Hima Das, in 2018 has made Indian athletics hopeful of an Olympic medal in the 2020 Tokyo Games. The year, however, was blemished by a few doping failures. Neeraj, 20, emerged as a serious Olympic medal contender with a series of impressive throws which fetched him gold medals in the Commonwealth Games and Asian Games. Neeraj, who hails from Khandra village in Panipat, bettered the national record twice this year. The last one of 88.06m won him a gold in the Asian Games. Neeraj finished fourth in the prestigious Diamond League Series by accumulating 17 points, a feat never achieved by an Indian before. With a former world record holder, Uwe Hohn of Czech Replubic, as his coach, Neeraj now aims to breach the 90m mark this year. He ended the season at world No 6. “It’s possible (for Neeraj to throw 90m). He is a great talent and has a great, bright future. He has the qualities of becoming an elite thrower. He is way ahead of me,” said Rio Olympics silver medallist Julius Yego of Kenya. Hima became the first Indian woman athlete to win a gold at the world level. She clinched the top spot in the women’s 400m final race in the IAAF World Under-20 Athletics Championships in Finland. No Indian woman before Hima has won a gold in a World Championship. Hima, 18, who hails from Assam’s Dhing village, kept improving her timing through the year. 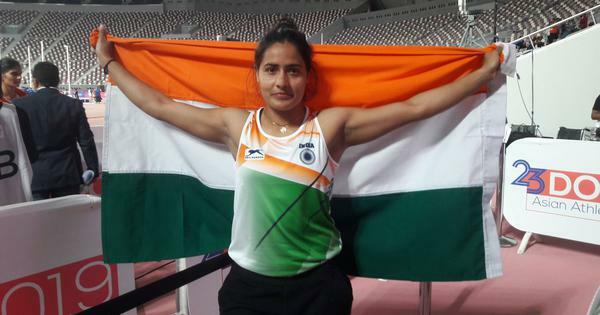 She won a silver medal at the Asian Games with national-record time of 50.79 seconds. Hima ended the season at world number 23 and second in Asia. Triple jumper Arpinder Singh became the first Indian to clinch a medal in the IAAF Continental Cup with a bronze. Jinson Johnson smashed the legendary Sriram Singh’s 42-year-old 800m record, the oldest in Indian athletics, by clocking 45.65 seconds during the National Inter State Senior Athletics Championships. Dutee Chand (women’s 100m), Mohd. Anas (men’s 400m), Jinson (men’s 1500m) and Murali Sreeshankar (men’s long jump) were among the Indians who created national records during the year. The Indian athletics contingent collected 19 medals (7 gold, 10 silver, 2 bronze) in the Asian Games in Jakarta, their best ever haul since the 1978 Bangkok Games. Towards the season’s end, five athletes, including Asian champion quarter-miler Nirmala Sheoran, tested positive for banned substances. Apart from Sheoran, middle-distance runners Sanjivani Yadav, Jhuma Khatun, discus thrower Sandeep Kumari, shot putter Naveen tested positive for banned substances in tests conducted by the World Anti-Doping Agency (WADA) at its Montreal laboratory. This came after the same samples returned negative results in tests conducted by the National Dope Testing Labaratory (NDTL). Distance runner Naveen Dagar was also thrown out of Asian Games team after testing positive. Earlier, KT Irfan and Rakesh Babu were thrown out of the Commonwealth Games for violating the event’s ‘No Syringe’ policy. Veteran discus thrower Vikas Gowda retired after competing at the highest level for over 15 years. He became the first and only Indian man to win a Commonwealth Games medal in discus throw. Gowda, who holds the national record of 66.28m (achieved in 2012), is one of the most decorated Indian athletes, having won gold in the 2013 and 2015 Asian Championships.